The first round of the 2019 NCAA Men’s Basketball Tournament is officially underway. 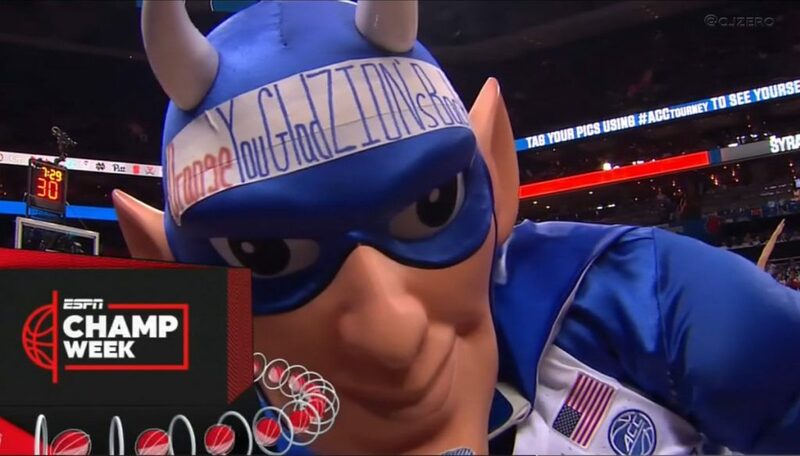 If you are one of the 40 million Americans that filled out a bracket this year, there is a very good chance that you may the Duke Blue Devils in the championship game and winning it all. If you are among the 47 million that have money on who wins the tournament, then chances are good that you are rolling with Duke to win it all as well. It is not hard to see why. Afterall, they are the No. 1 overall seed in the country for a reason, and they have the best odds to win it all as well. However, there is a reason why the Tournament is referred to as March Madness. You can never tell what is going to happen. For example, more often than not, the No. 1 overall seed does not win it all. Since officials started designating a No. 1 overall seed in 2004, that team has gone on to win the title only three times. In the 34 years since the last expansion, No. 1 seeds have taken up 42 percent of the 68 spots in the national championship game. But of those 32 teams, 20 of them went on to win it all in the end. So, yeah—going with a No.1 seed is not a bad idea. Virginia, North Carolina, and Gonzaga all had respectable seasons. However, Gonzaga did defeat Duke early in the year. But they lost to North Carolina who beat Duke twice during the regular season, but Zion Williamson didn’t play in either game (he did during the conference tourney which Duke won). As for the Cavaliers, Virginia lost to Duke twice but did beat North Carolina. Gonzaga, besides the win over Duke, hasn’t really been tested. Virginia is the team that made history last season by becoming the first No. 1 seed to lose in the first round. North Carolina is the 1-seed with the worst shot to win its division. So, if you do not want to roll with Duke, it is going to be kind of hard to choose one of the other No. 1 seeded teams. But what about non-No. 1 seeds? Kentucky and Michigan State have the next best odds followed by Tennessee. If you really want to go with a non-1 seed then the Kentucky Wildcats are probably the way to go. They have played some incredible basketball against some of the best teams in the country this year, and they have won it all before after starting as a lower seed. But they have also had their moments when they don’t play well (which is what makes them a No 2 seed) So, if you go with them, be prepared for an unexpected loss against a team they should destroy on paper. Or just be smart and bet Duke.